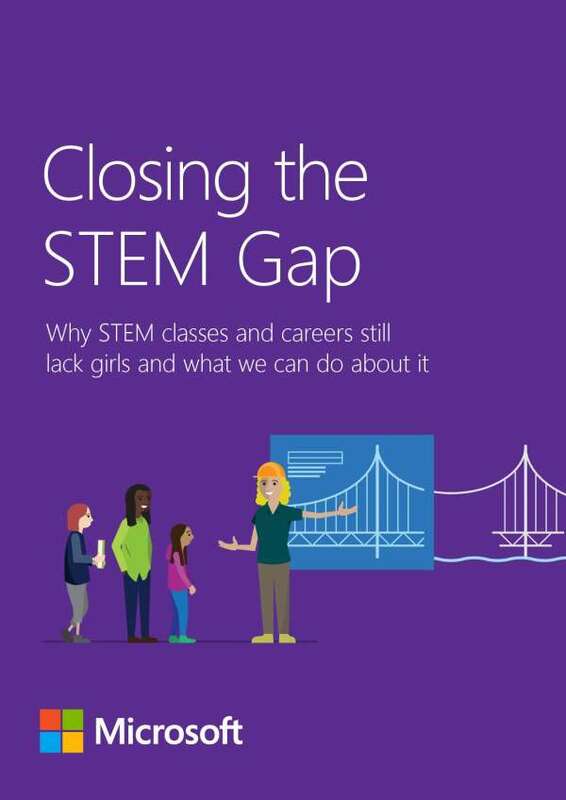 Take an in-depth look at the Microsoft commissioned study to understand why girls are still steering away from STEM-related fields and what we can start doing now in our schools to close this gap. We all want to see more women enter STEM fields in the workforce, so how do we get them there? The answer starts long before they enter college. If we want to get more girls interested in STEM subjects, one important strategy is encouraging them to get involved in STEM-related clubs or activities. Not only do these help girls visualize how their knowledge can be applied to the real world, but it also helps them feel more empowered and confident when tackling STEM subjects later in their academic careers. Learn more about this and other strategies to get girls involved in STEM in this study.